It’s after making meals like this that I ask myself why I don’t utilize my slow cooker more often. I mean, what could be simpler than throwing in a handful of ingredients into the slow cooker in the morning and then coming home to a ready-made meal for dinner? Well, I’ve renewed my commitment to making my weekday nights easier by getting more use out of my slow cooker. Slow cooker meals are also a really easy and fuss-free way to get your kids involved in the kitchen – there’s no boiling pots of hot liquids, splattering oil or open flames. It’s just adding ingredients to the slow cooker, closing the lid…and waiting. 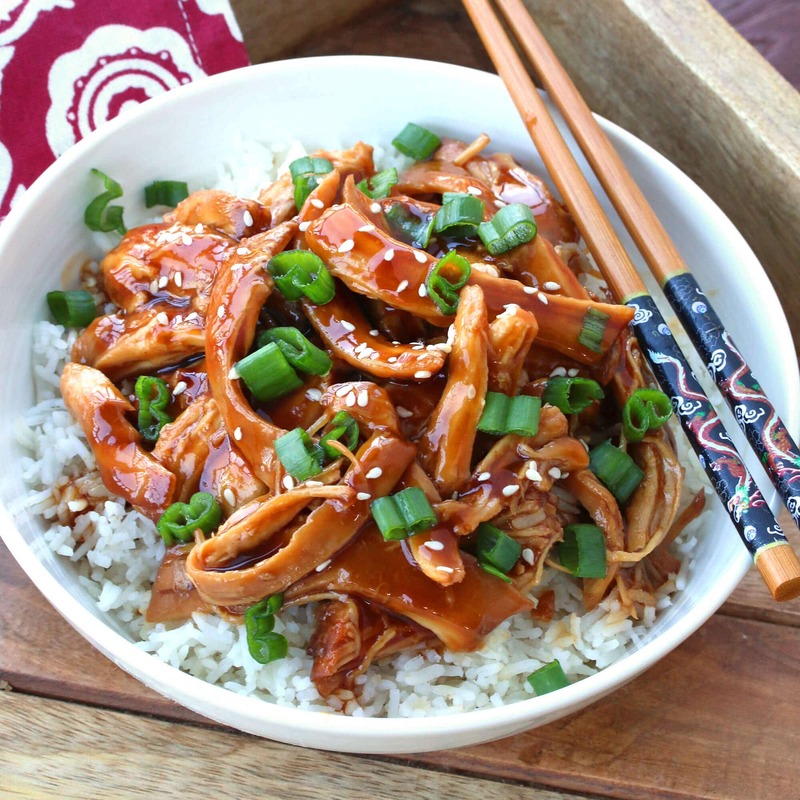 Teriyaki chicken is something almost everyone loves. That familiar combination of sweet and savory is a flavor practically anyone will enjoy. This recipe is super easy to make with only 5 minutes of prep time. And it also provides the perfect foundation for building upon – i.e., add some of your favorite veggies like broccoli, bell peppers, carrots or bean sprouts and make a complete meal out of it. Depending on the veggies you’re adding, you’ll add them in during the last 20-30 minutes until they’re tender. Bean sprouts will be added during the last 5-7 minutes so they retain some of their crunch. Etc. 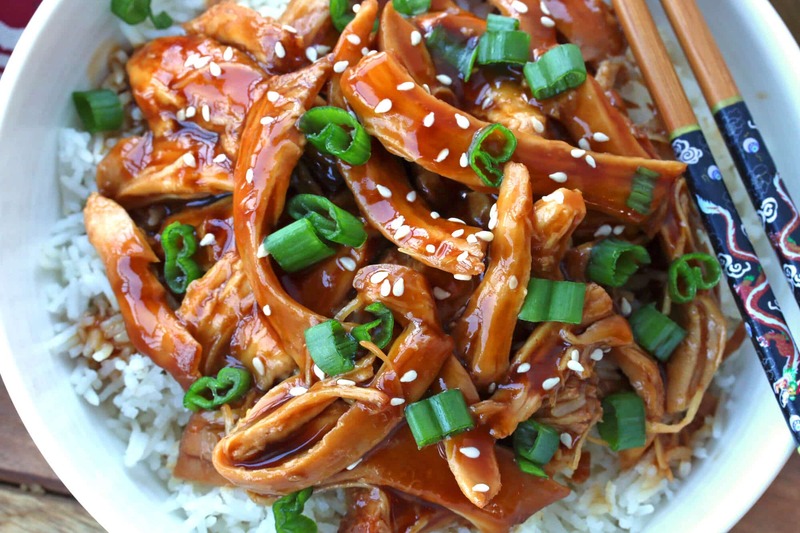 Or simply make a basic chicken teriyaki as shown here and serve it with your favorite steamed or stir-fried veggies and rice. 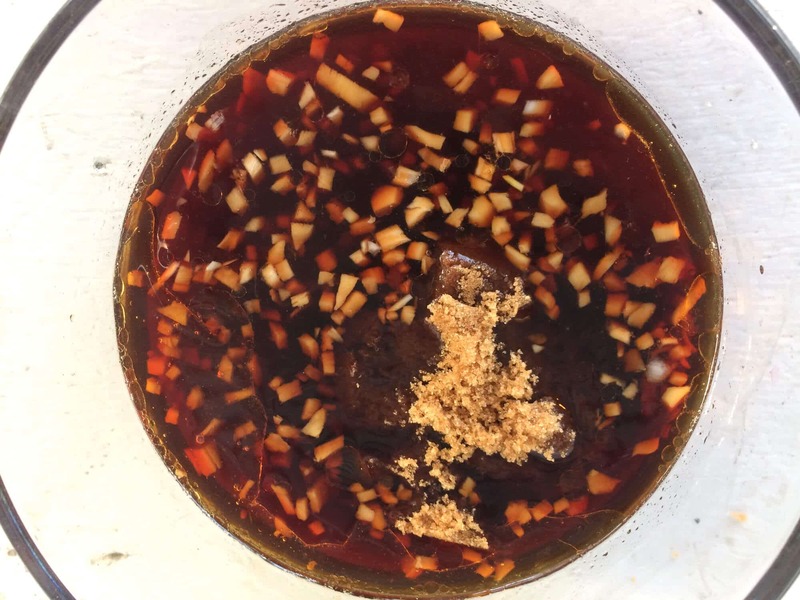 Combine the sauce ingredients in a bowl and stir until the brown sugar is mostly dissolved. Place the chicken in the slow cooker. I’m using chicken breasts but you can use any chicken pieces of your choice. Cook the chicken on LOW for 5-6 hours or on HIGH for 3-4 hours. Transfer the chicken to a plate and shred the meat. Discard the bones if you’re using bone-in chicken. Carefully pour the sauce into a saucepan. Bring it to a boil and pour in the cornstarch mixture, stirring until slightly thickened, about a minute. Return the shredded chicken to the slow cooker and pour the sauce over it. Stir to coat. Cook on HIGH for a few minutes until heated through. Add salt to taste. Serve over steamed rice garnished with toasted sesame seeds and chopped green onions. Hands off, fuss-free, 5 minutes prep and come home to a ready meal! NOTE: If you prefer more sauce simply double all the sauce ingredients including the thickener. Pour the sauce over the chicken. Cook the chicken on LOW for 5-6 hours or on HIGH for 3-4 hours. Transfer the chicken to a plate and shred the meat. Discard the bones if you're using bone-in chicken. You can also add our favorite veggies in during the last 20 or so minutes of cooking (e.g., broccoli, bell peppers, carrots, etc). To add bean sprouts, add them during the last 5-7 minutes to retain some crispiness. If adding veggies, you'll proceed with removing the chicken once it's cooked and shredding it, and the sauce will be thickened with the vegetables in it. This looks delicious! I’ve been getting my kids more involved in making our meals as I see them more excited about eating when they do but have never thought about the slow cooker process being easier for the little ones. Thanks! 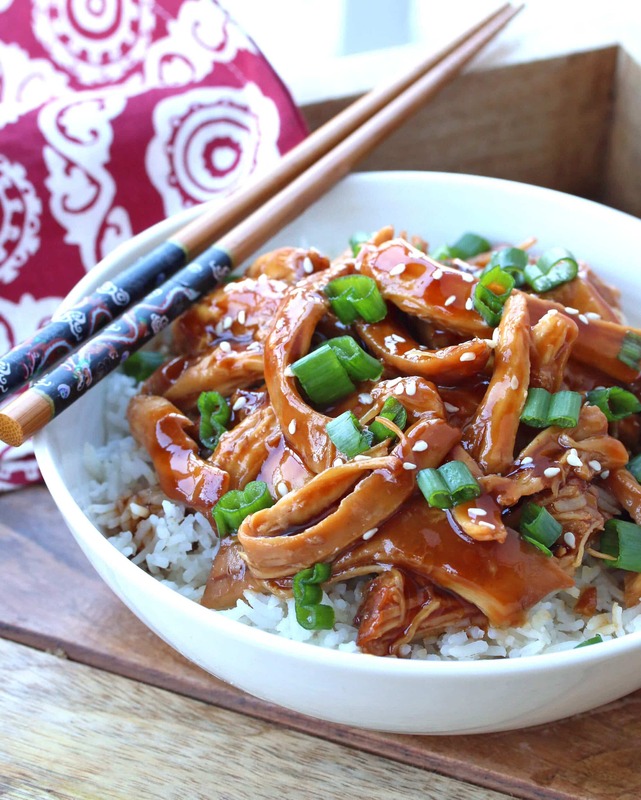 My family loves teriyaki chicken, and I love that you can make it in the slow cooker — looks perfect! Wow! This looks amazing! I cannot wait to fill my house with these amazing smells! Oh I know this will be a huge hit with my family! The thick sauce is key. YUMMATOLA as my dad would say! I always wonder why I don’t use my slow cooker more! Love finding new ideas! Thank you. This would be such a good dish to come home to! Awesome, Cori, I’m so happy to hear that, thank you! I found my dinner for tonight! Yum!! This will be a winner at my house! 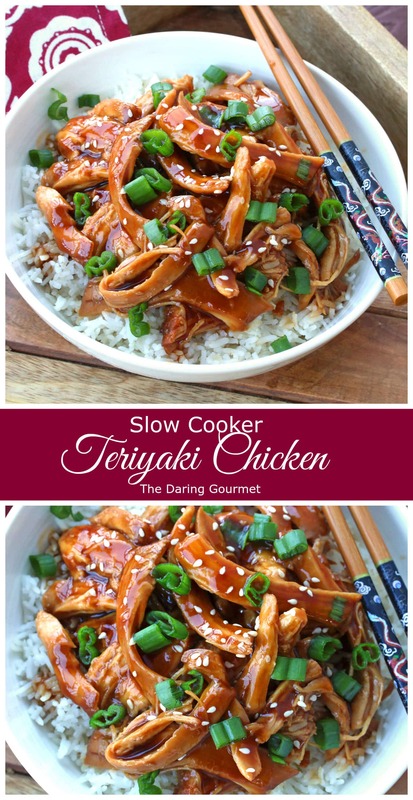 Love the ease of slow cooker! Looks like a winner. I like to use the slow cooker in the summer to keep the house cooler. This is going on my list of recipes I want to try. Awesome, easy, delicious. I made this for my family yesterday and it got two thumbs up all around. This will become a regular. Fantastic, Nathan, I’m thrilled to hear that, thank you! Always a great way to use the slow cooker! Love that my slow cooker can make me a delicious dinner! Cannot wait to try it! This dish is making my mouth water! 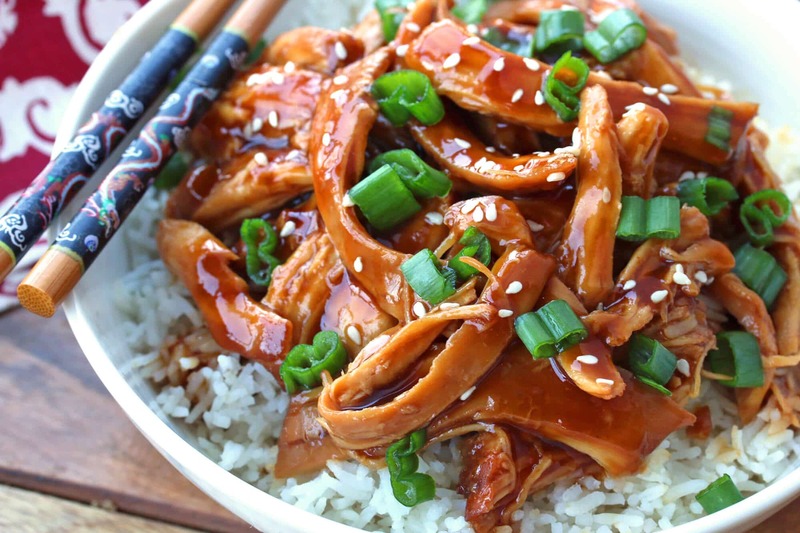 I LOVE teriyaki chicken! You better believe this is being made very, very soon. This is absolutely one gorgeous dish!! Fantastic, James, thanks so much for the feedback! I love how thick those chicken pieces are! And so much sauce. Sounds heavenly! Seriously fantastic recipe! So easy to make and the whole family loved it, thank you! Wonderful, Tanya, thanks so much! Can you do this in an instant pot? Hi Sharona, yes you can though I can’t tell you the exact procedure as I haven’t done it. Made this tonight, SO good!! Everyone loved it. This will become a regular, thank you! Excellent recipe, very flavorful and easy to make, thank you! We had this for dinner tonight and it was a hit! Wonderful, Tammy, thanks so much! I really liked the flavor and simplicity of this recipe. A couple of notes about substitutions. I used Braggs instead of soy sauce and it was too salty. I will try coconut aminos next time. 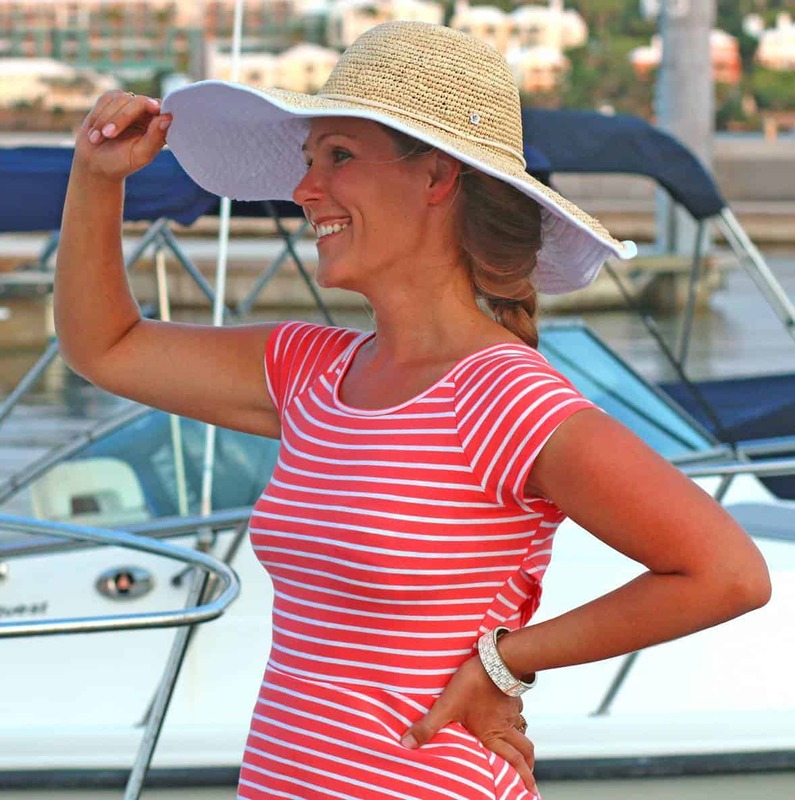 I substitued coconut sugar instead of brown sugar – love coconut sugar! I used arrowroot to thicken. The same amount of arrowroot as listed for the cornstarch. Hopefully this helps somebody else that may not have the exact ingredients but still wants to make the dish! Wonderful, May, I’m so glad you enjoyed it and appreciate the substitution tips, thank you! I saw a link to this recipe on Karen Peterson’s blog and had to check it out. It looks like pure deliciousness. Who doesn’t love teriyaki? If i halve the amount of chicken, would you recommend the full amount of sauce? 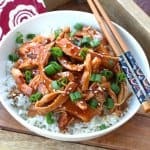 Why does your Teriyaki sauce in this recipe differ significantly, mostly in portions (measurements), but also in a couple ingredients, from your Homemade Teriyaki Sauce? Hi Paul, no reason, I just developed this chicken recipe separately from the stand-alone sauce. While I was adding the ingredients, tasting, and writing them down, I liked the outcome and went with it. Can you make the sauce the night before? I’d like to throw this together in the morning before work. You sure can, Dana. The only thing you’ll still need to wait to do is add in the cornstarch when you get home from work. Happy slow cooking!